2" Black sch 40 Elbow. 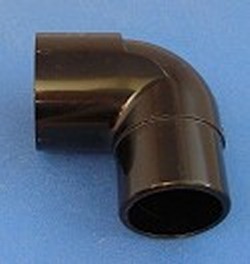 Fits sch 40/80/120 class 200, 315 and any other pvc pipe with a 2.375" OD. (2" nominal ID) Slip by Spigot. Made in the U.S.A.